Hotter temperatures and slower clock rates are expected, but how much of a performance dip can we really expect? Early benchmark tests show the i9-9900K trailing by about 10 percent or more when on a laptop compared to a full-size desktop PC. 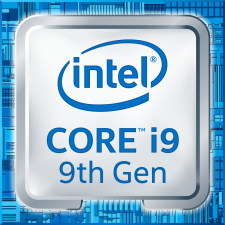 With a base clock rate of 3.6 GHz and a maximum Turbo Boost of 5.0 GHz, the octa-core Core i9-9900K is easily one of the fastest consumer CPUs Intel has ever released. The 95 W TDP processor is made for enthusiast desktop PCs that normally have the cooling necessary to house and run the CPU at its peak. So, what happens when you install such a CPU on a laptop? Certain Clevo barebones, like the P775 series, are designed with LGA1151 sockets to accept desktop CPUs of up to certain TDP levels. Resellers like Schenker and Eurocom are already configuring their respective workstations or laptops with Core i9-9900K options. Our own tests on the Schenker XMG Ultra 17 laptop based on the Clevo P775 chassis show that the i9-9900K can easily outperform the Core i7-8850H and i9-8950HK by about 45 percent each in multi-threaded workloads to be one of the fastest consumer laptops money can buy. The full story, however, shows our i9-9900K laptop trailing behind desktop PCs equipped with the same CPU. According to Trusted Reviews, a "proper" desktop PC with the i9-9900K returns a CineBench R15 Multi-Thread score of 2058 points compared to just 1865 points on our Schenker for a performance increase of about 10 percent. If assuming that the desktop PC can also hold faster Turbo Boost clock rates for longer, then this delta can grow to about 15 percent. Gamers are unlikely to see huge gains in gaming performance if jumping from an existing Coffee Lake-H CPU like the i7-8750H or i9-8950HK. Nonetheless, the raw boost in CPU performance is still significant even if slightly slower than a full-fledged desktop implementation.